Hey everybody... happy Buy Nothing Day :: I'm listening to Sing-A-Longs & Lullabies For The Film Curious George by Jack Johnson and looking forward to an action pack day... where I will try not to buy anything. Been thinking about consumption over the last wee while... inspired by the "Buy Nothing Day" and a growing dissatisfaction with stuff. Let me explain... [Standing up] My name is Thomas and I am a consumer! I buy stuff. I love design - packaging... product... promotion... I like how my life changes when I get something special >> I think of my 5th gen iPod with 7,100ish songs and 150ish movies... or my shuffle that seems to play just the right song when I am out and about in Glasgow. As I type this post on my Apple iBook... I am dressed in DC Shoes (white Uno model)... baggy Levi's... an orange Stussy tee... and CK boxers. I am listening to music through iTunes on Goodmans speakers, sitting on an IKEA chair with my iPod charging beside me. I have just checked the time on my Casio G-Shock watch [20th anniversary ltd ed in stainless steel]... sipped Tetley's tea from a mug with Donald Duck printed on it... and searched in my Manhattan Portage messenger bag for my Moleskine notebook and Bic 4 colour pen. I am a consumer... but my ways are changing. You could argue I am becoming a compassionate consumer. Let me explain. 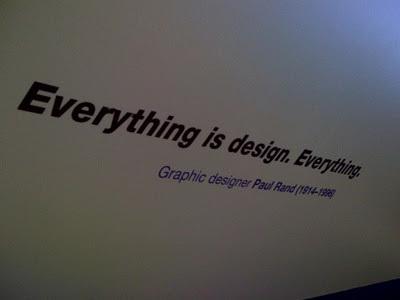 I agree with Paul Rand... everything is design. I see beauty and expression in ordinary things. 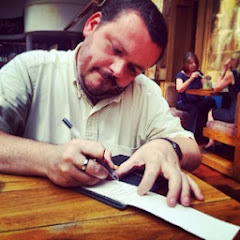 A Bic crystal pen is ubiquitous and inexpensive... and yet, to me, a wonderful design. There is an unfortunate correlation between design and expense... and this is wrong. All design means, for me, is that someone has thought about it. True "designer" products are individual handcrafted items... such as those found on etsy. Since everything is design... we need to get away from subjectively attributing worth based on "names" and more objectively attribute worth based on the value or the "utility" [as economists refer to it] that we derive from the product or service. 2) We need better not more. We need to reduce the waste we produce... and reduce the amount of resources we use to produce stuff. This is simple common sense... not solely "green" ideology. The best designed products are sometimes the ones where the user experience has been considered... so that the product works with the user. Consider the iPod versus a Nokia phone... the iPod works for me whereas Nokia's OS just doesn't... again, for me. Its personal and subjective. More than this, though... we need to define what better means in objective terms. Better means products and services where the user is not the only one considered - where the environment and the suppliers are considered as important. Organic cotton. Fairtrade tea. These concepts are growing into mainstream acceptance and are hugely important. All cotton should be organic. All tea should be fair trade [if not in "name" at least in action]. Locally sourced. Independent. These values should be in the mainstream. The drivers need to change - profit should be one measure of success but it should not be the only measure... although we need to be honest and realise that profit means survival. This survival needs to be within the context of ethical behaviour and socially just activity. Look at Howies as a tremendous example of this. We need to choose better products. Its no longer about convenience but about better. 3) Less is truly more. I admit it... [hand up] I am a neophiliac. I love new things. 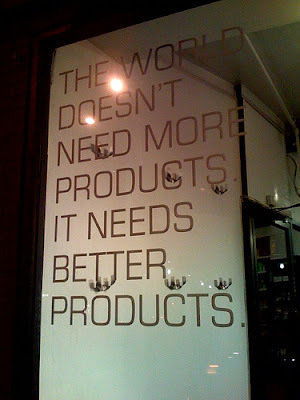 This is, in my opinion, the kernel of the problem with consumerism... we want more new things. > Discovering something I own but had forgotten about. This is "new" again - finding an old tee or a pair of kicks that I had forgotten about. Feels good to remember / reuse stuff I already own. > Discovering something new that someone else no longer wants. I am a big charity shopper and love to discover things that others have rejected. I recently picked up a North Face Goretex jacket and a Matineque peacoat for £15 all in. My current pair of Timberlands originated from a charity shop too. 4) I have what I have... and I am happy. The way to combat the excessive elements of consumerism is an old fashion concept called contentment. For us to reduce and reuse we need to be content with what we have. This flies in the face of neophilia and the foundations of excessive and conspicuous consumption but its necessary. We need to change our thinking and learn to accept what we have. I have too many shoes, for example. None of them are worn to a level that necessitates them being changed >> I don't need anymore shoes... and I am happy with what I have. The secret to this contentment comes from an appreciation of what I have... appreciation of the detail... appreciation of the thought and design... we have no need to reuse if we are content to use what we have... without the desire for more. Conversely... it is wrong to want what we do not have. Covetousness is another old fashioned concept that isn't really spoken about and is the enemy of contentment. This is where I fall down. Keeping up with Jones' is a trial for me, at times... but I am learning. 5) I can think for myself. Who defines fashion and, more specifically, seasons? Buy timeless classics. Define your own style. Think Converse All-Stars... or Pro-Keds >> beyond fashion. We need to move beyond the cyclical and seasonal... the ins and outs of fashion where perfectly good products are discarded because they are "out". What would be saved if we didn't worry about the whims of an industry built on consumption and more? Try it sometime. 6) Buy nothing day... every week. The Jewish concept of Shabbat means to cease... not just rest to stop work. We have lost this concept in the 24/7 world we live in. It won't be long until the Fort is open until 0000hrs on week nights. People need to work... but people also need to rest. Imagine what could happen if we all chose to celebrate shabbat once a week. The annual buy nothing day would become a weekly occurrence. Far more effective for everyone involved. 7) Digging stuff ain't a sin. 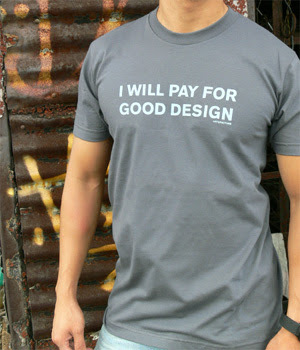 I love design. I have said it above... and I don't believe that to be wrong. Designed things point to the ultimate designer... through the gift of creative thought. Its right to appreciate worthwhile things. It is wrong to worship them. To put them before God. Wasn't the iPhone referred to as the JesusPhone at some point? I also believe it is wrong to consider our material things to be a blessing from God in direct proportion to our faith. God will give us what we need. That said... I think it is important to give back to God our stuff... to use it for Him, as and when appropriate, and not selfishly horde it. If we accept what we have and not look to what others have... then this consumerism beast could be seriously be wounded. Anyway... these are some of my thoughts. What do you think? I totally agree with everything here. I am extremely loyal to brands such as apple computers and gadgets, Marshall amplifiers, Product Red T-shirts and a hideous addiction to IKEA! I have to say that most of this is down the fact that I honestly believe them to better with the possible exception of IKEA. I think a lot of there stuff is cool but not always the best. Take the ikea office chair I am sitting on for example. I bought it because it looked good and was cheap. That may be so but after about a month one of the wheel sockets broke and now that wheel is constantly coming off. I also think that sometimes we should realise tat you get what you pay for. Better things are often more expensive. We too often are looking for the cheapest option. Imagine if we placed that philosophy on salvation. Christ paid a premium for something that was ultimately the best thing for us. Which is also another point to make. Things that are more technically better are often more expensive but not particularly better in quality. But we need to think beyond ourselves. I buy fair trade tea not because I think the quality is better than other non fairtrade brands but because the quality of life for those that grow it or produce it is better. So if it is better for them it is better for e. That way I am not constantly wondering if the people picking this tea are living in poverty. I use tea as an example of course. The principle is true across all things. I think that we also need to be aware of consumerism in the church. 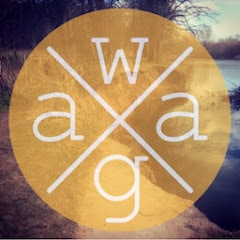 Even in the way we approach God. We say we want more of God. Or we want more blessing etc etc. This is consumeristic. If we want more of God and subsequently more blessing we must show more of God and bless others more. I have a passion for design being a designer myself. I love to buy things in presentation boxes and lovely cases. They inspire me. The danger is of course is becoming entirely dependant on consumption for creation! Sorry. The the previous post says 'technically' in paragraph 6 where it should say ethically better. well said. we should start a fashion blog that discusses fashion from the outside of consumerism. tongue in cheek of course. but i love waking up to thoughts like this.